Microsoft Exchange Server 2016 brings a new set of technologies, features, and services to Exchange Server. Its goal is to support people and organizations as their work habits evolve from a communication focus to a collaboration focus. At the same time, Exchange 2016 helps lower the total cost of ownership whether you deploy Exchange 2016 on-premises or provision your mailboxes in the cloud. Today, CPU horsepower is significantly less expensive and is no longer a constraining factor. With that constraint lifted, the primary design goal for Exchange 2016 is for simplicity of scale, hardware utilization, and failure isolation. 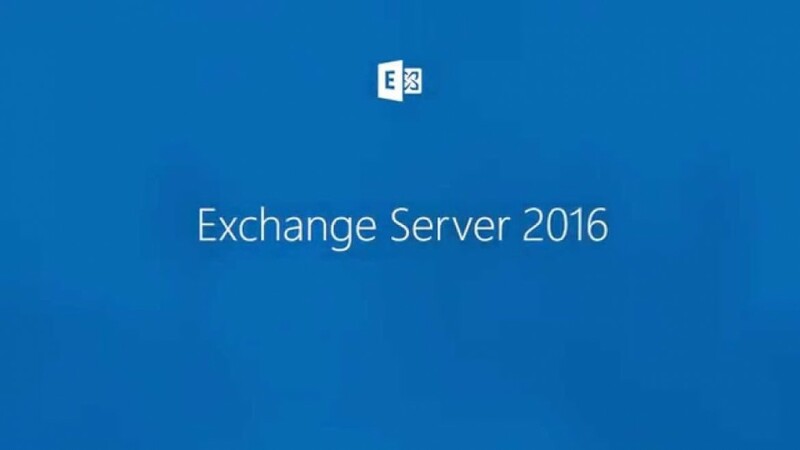 Exchange 2016, reduced the number of server roles to two: the Mailbox and Edge Transport server roles. Client Access services provide authentication, limited redirection, and proxy services. Client Access services don’t do any data rendering and offer all the usual client access protocols: HTTP, POP and IMAP, and SMTP. The Edge Transport role is typically deployed in your perimeter network, outside your internal Active Directory forest, and is designed to minimize the attack surface of your Exchange deployment. By handling all Internet-facing mail flow, it also adds additional layers of message protection and security against viruses and spam, and can apply transport rules to control message flow. For more information about the Edge Transport server role.